Councillor Declan Breathnach is contesting the general election as a Fianna Fáil candidate in Louth. Breathnach has been a member of Louth County Council since 1991. 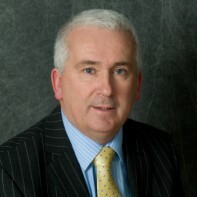 He is currently the chairperson of Louth County Development Board. When not attending to constituents' concerns, Breathnach works as the principal of Walshestown National School. This candidate has Fianna Fáil hair.